Born in Denver Colorado. Graduated from the Naval Academy in 1908. Served in the Mexican Campaign and later as the navigator on the USS Arkansas and Executive Officer on the USS West Virginia. He commanded the USS Indianapolis (1938-1940) and towards the closing days of World War II he was the Battleship Division Commander during the bombardment of Japan. Retired as a Vice Admiral. He was the son of John Franklin Shafroth, United States Senator and Governor of Colorado. 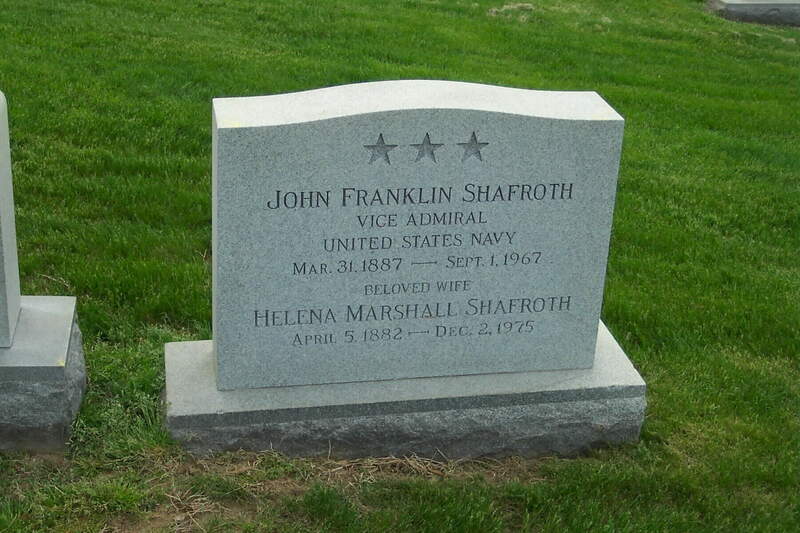 Vice Admiral John Franklin Shafroth, 80, commander of the U.S. task force that shelled the Japanese homeland in the closing days of World War II, leading an eight-ship bombardment squadron to the island of Honshu on July 14, 1945, then ranging up and down the coast destroying military targets as an indication of Japan's helplessness in the face of U.S. might; of a stroke; in Westerly, Rhode Island.